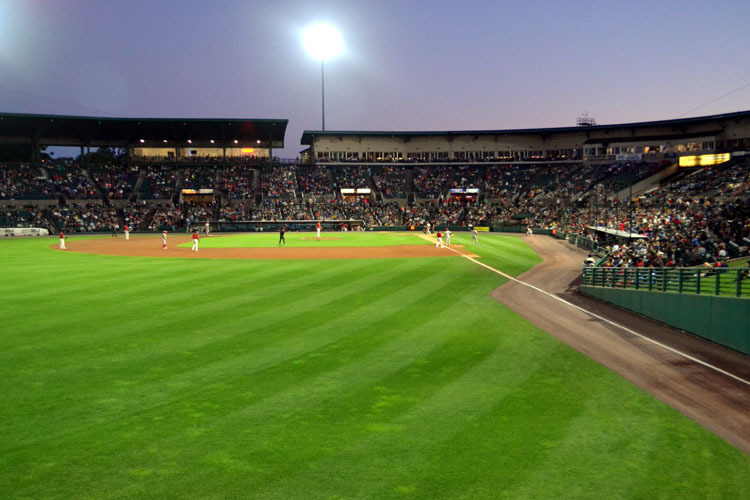 If someone were to ask me where he or she could enjoy the best scenery in Rochester, I’d likely respond by saying to visit Frontier Field. Then again, I’m a bit of a baseball nerd. 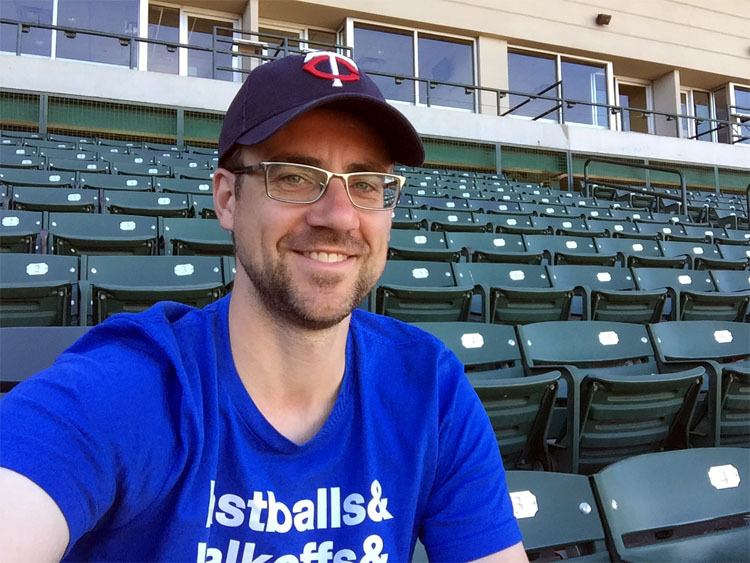 Another answer might be to take a stroll across the bridge that spans the Genessee River and High Falls — which, conveniently, is within walking distance of the ballpark. It was also within walking distance of where I was staying, the Holiday Inn Rochester Downtown, so I set out for a short walk early in the afternoon to check out the falls. This is a must-see attraction for anyone visiting Rochester, and it’s a spot that I’ve visited the last couple of times I’ve been in town. I walked all the way across the bridge and stood for a couple of minutes here and there at different points along the railing, thoroughly enjoying the view around me. 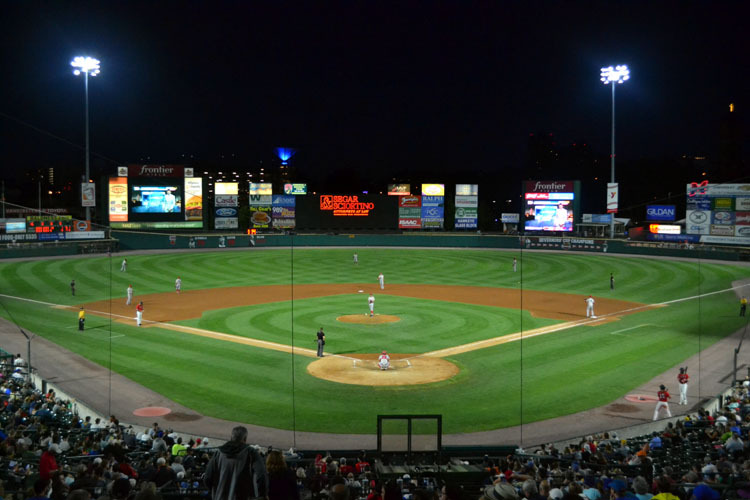 After happily backing away from the edge, I descended back to the sidewalk and returned to my hotel, where I hung out for a couple of hours and then headed out to Frontier Field for the third and final time on this road trip. My decision to watch from the picnic area was strategic — the sun was very bright, and unless I was paying full attention at all times, it’d be difficult to pick up every ball. Being under a covered area gave me protection, as well as the opportunity to enjoy BP from a new angle. 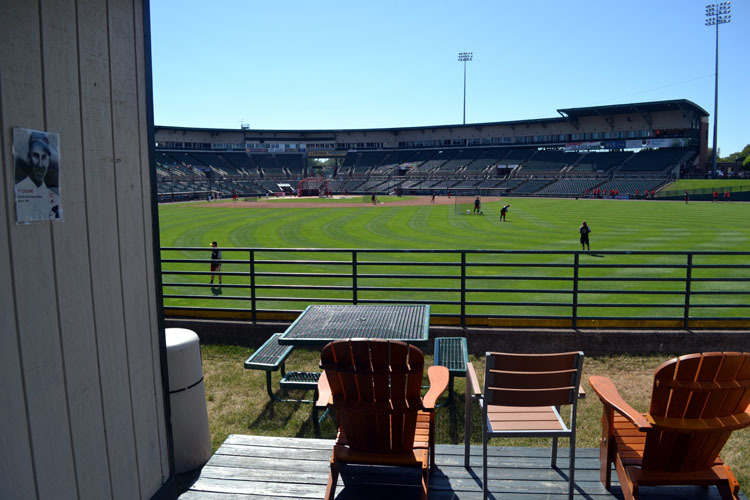 This is an exclusive “best seats in the house” area that not only features the upscale chairs that you see, but also has a couch that was behind me when I took this photo. 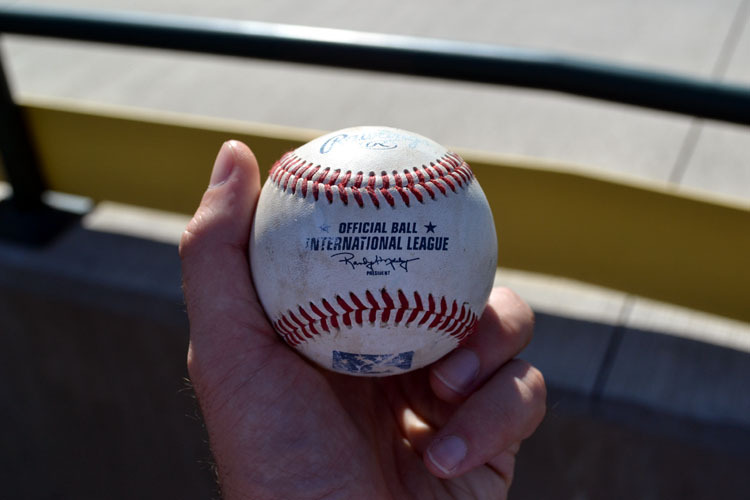 I think that it’s one of the cooler places to a snag a home run ball that I’ve come across in all my travels. See the Minnesota Twins cap I’m wearing? I’d bought it a day earlier in the Frontier Field team shop for just $15. Other than the favorable price, I bought it not only because it tied in with my awesome Rochester visit (the Red Wings are the Triple-A affiliate of the Twins) but also because I had three outstanding days visiting the Twins last fall. 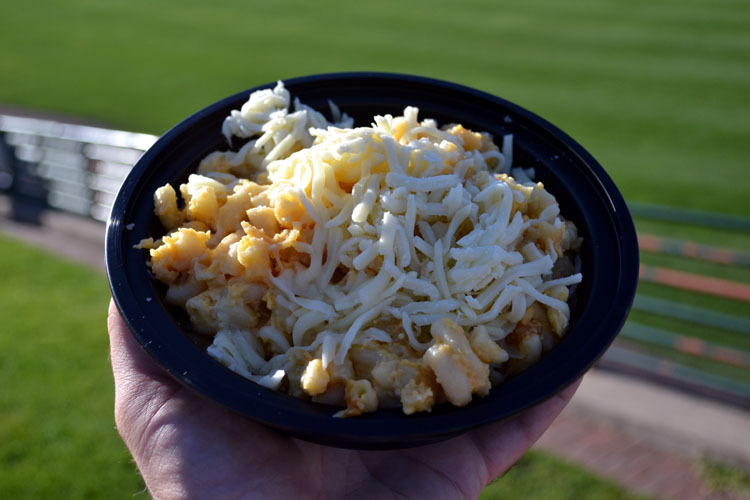 You’re looking at an order of Three Cheese mac, which had cheddar, ricotta and mozzarella. As expected, it was mighty cheesy, and while I didn’t like it was much as the buffalo chicken variation, it was still a good dish. 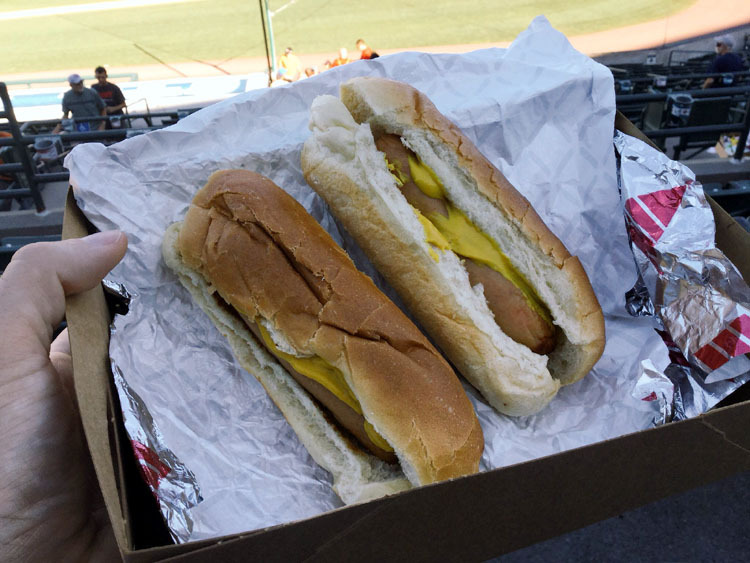 I parted ways with them after the eighth, and spent the ninth doing what I enjoy best — walking around, taking in the atmosphere and enjoying several different vantage points. 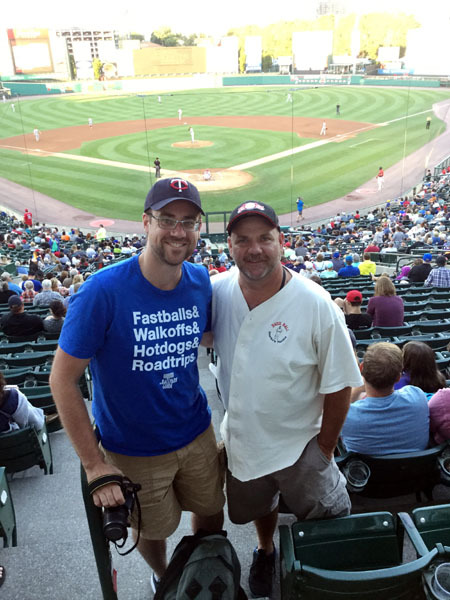 It’s always sad to leave a ballpark at the end of a road trip, but my three days spent in Rochester during this visit were so jam packed with good times that this was a visit that I won’t soon forget. I’m already looking forward to my next visit, whenever that might be. A big thank you to the good people at Visit Rochester for their assistance with my visit to Rochester. 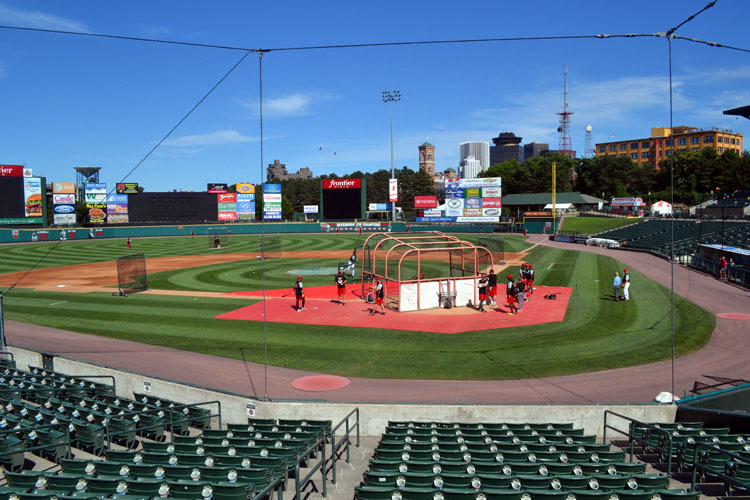 If you’re planning to see Frontier Field for a baseball road trip, be sure to check out Visit Rochester’s website for all the planning information you need. Love that picture of the park and the chairs. Makes me wish I was there sitting in them chillaxing and watching a game with you.